Today's Mid Week Match-Up comes from the heart. Seriously. It is for me...Vince...your humble Editor-in-Chief and Chief-Scribe. 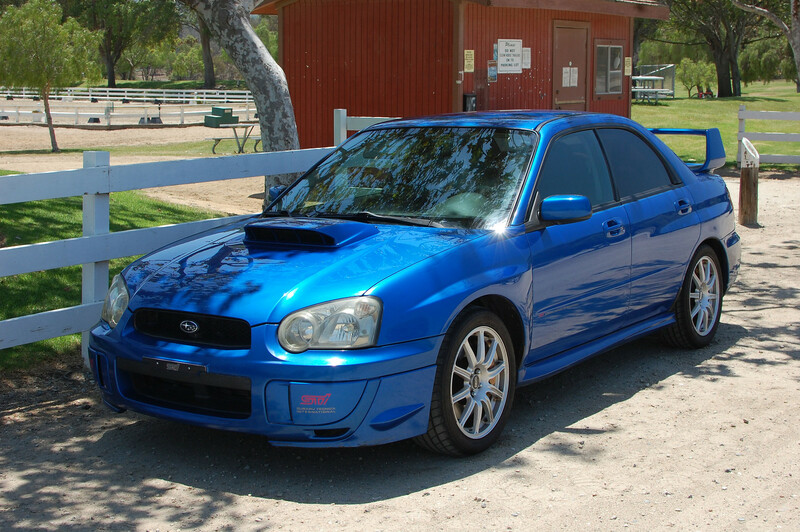 I've recently sold my 2004 Subaru STI and I need something to drive on a semi-daily basis. I've still got the 94 Roadmaster for kid/lumber/cruising (and 69 Fastback Mustang for classic car duties) but I am looking for something with room for 5 and a manual gearbox. Budget less than $10k please. A few more requirements in the mix. I prefer rear wheel drive (done the front drive thing, didn't like understeer, did the all-wheel-drive thing...missed oversteer...), but it needs to have a manual gearbox and a limited slip diff out back. Quick, fast, racey...yup, needs to be all three. Less than $10k is a requirement, less than $7500 would be ideal...but for the right car I'd pay a premium. I prefer stock (at least stock looking) vehicles, but I will drive modified machines as long as they can pass California's smog laws (pre-1975 is good...). Reliability is overrated. But I don't want to buy a pinless hand grenade (no Maserati Bi-Turbos, please). 2-doors, 4-doors, 5-doors, who cares....as long as I can shove 3 kids in the back row. Thoughts? Suggestions? Put 'em below. Wish a could find a lower milage one in the pice range but you get the idea. Ohhhh that is right on the money!! I'd be worried about 140k miles...but maybe not for that price! You should have bought my E39 540. Then you'd have both my cars. My perfect cars. I guess you can have my skin, but can you wait until I'm done with it? Roomy. I've been working on the skin thing with a local lab and DNA from a hair I found in the Roadmaster, but so far it appears I've cloned skin from a orangutan. That's funny you suggest the CTS-V; I think he's already thinking along those lines! The Caprice is one that I may be checking out myself in a few years. I enjoy the Crown Vic P71 and think this would only be an improvement - modern unibody construction and LS V8 power. They are trading hands around $10k - $15k from what I've seen. Counter to the cars above I'd suggest a BMW E30 325is 4-door. Would meet all of the requirements; a bit tight in the back seat but Vince's kids are small. Definitely a fun daily driver that would be easy to wrench on and could be sold for whatever you pay. I'm also keen on the 325is, and prices are good...for now. The problem with the P71, SS, G8, PPV is that they are all just about impossible to get in a Manuel Guillermo version. 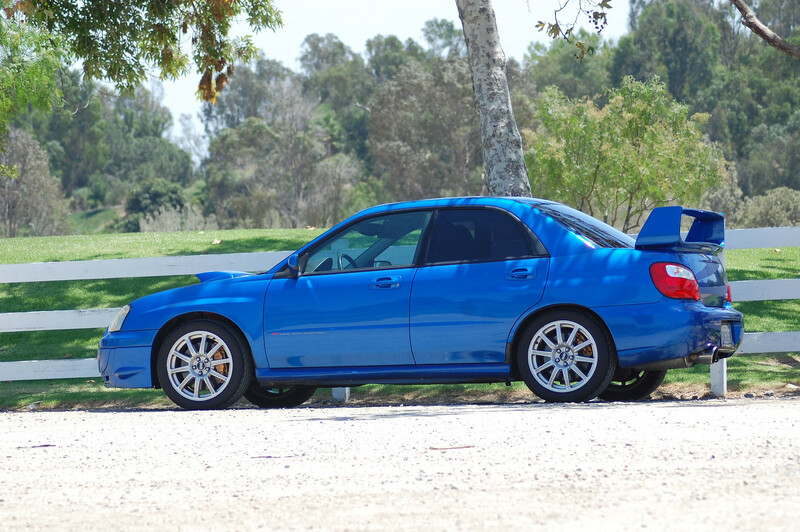 Before I make a suggestion, do you require a car with a huge wing? If not, an E46 manual M3 would be sweet. Tom -- huge wing is not essential...in fact I'd like to avoid them entirely. Can you really get decent E46 M3s for $10k? Or am I looking at cars recently exported from Houston? I had a 90k mile '02 M3 that I loved, but it was right on the border of "I wouldn't sell it to a friend" and I got $12.5 for it. No clue what kind of troubles you'd be inheriting for sub $10k. Is a dogleg transmission a little too over the top for a daily driver? Okay, the 190E is good...but I'm not sure if the premium price is merited when you can get an E36 M3 for a similar price. The 2.3-16 is certainly more rare/odd, but the non-rack & pinion steering is gonna get to me (I had an C36 AMG and I hated the steering). 2006 330i is another good option...I like it. I've driven that model of IS300 before and was thoroughly underimpressed with the fun side of the coin. Reliability and basic comfort is good...but zzzzzzz...sorrry still awake. BMW is the winner here. I read your other comment about hesitation with regards to non M model BMWs, i've driven an e90 generation sedan (323i auto) and was very impressed with its BMW-ness, that generation is the last before electronic power assist steering and the 330i will have 255hp which i think might even be up a bit on a US spec e36 M3 and somewhat surprisingly the weight seems to be in the same range, i saw 3219lbs for the m3 and 3331lbs for the e90. I think you could get a M3 swapped BMW 318ti for well under the budget. They seem to fly under the radar and do not command a lot of money on the used market. Is the 318Ti any more useable for a small family than just an E36 M3? Not in a big way, but from what I have seen the swapped ti's sell for measurably less dough than a E36 M3. Oddly enough...the exterior (and interior) don't bug me that much in the GTO. I honestly hadn't have thunked about that car. GOOD SUGGESTION! I wish they imported the 4-door version to the USA. Vince and I had a mutual friend / colleague who daily drove a Monaro...I mean GTO. I was impressed with how solid that thing felt. The doors sounded like they came off of a Benz. The seats were soft and supportive. No rattles or squeaks. No "cheap GM" feeling really. Just a solid (if boring) body with a nice LS1 + T56 at your command. Also - GM never made a 4-door version of the final generation Monaro. So the closest you can get is the VF Commodore, aka Chevy SS. And those were sold with manuals but in small numbers. I'd start looking for one now, and maybe in a year you'll find what you want. But of course a nearly-new SS isn't going to fit in your <$10k budget. Maybe next time. Ferrari 456 4 seater, runs great! You know...if I were a rich man, I'd have a Ferrari 456 -- because for something like $50k, I don't think you can get a more awesome GT coupe. Though if I had that kinda cash, I'd still prolly buy this instead (the practical/Teutonic side of me showing through). That way, I'd still have $20K left for the Bagheera! I didn't know that Infinitis depreciated like Audis...i'll have to add the G35/G37 to my list. The only problem I have with the BMWs is that they aren't an M car...and I had an E36 M3...it was sublime, I'm not sure I'd be happy with a non M BMW, particularly a modern one with a open rear diff. I owned the clone of that Infiniti. On paper, it should have been a fantastic car. In reality, it was incredibly dull. Boring handling dynamics (understeer and no road feel), the most uncomfortable seats I'd ever sat in (I'm tall and thin with a 36 waist and my cheeks still were on top of the metal bolster reinforcements---seat made for Japan home market), and that Godawful Infiniti exhaust drone. My advice, keep looking. I was going to suggest an Alfa Milano, but I can't seem to find one for sale on west coast CL's. Zach -- I want that Bagheera and I'd park it right next to my collection of Eclats (en francias, les Eclateree). Seriously awesome car, would get your more respect at a car show than a brand new McLaren MP425XZZTOP or Lamborghini Earthquake. Cinc eclat avec deaux Deaux-Chevaux, et plus une Bagheera aussi, por-quoi non? Paulmar -- I am a bit squmash about that one because of the miles (or km --killer miles) but DAMN the BMW product planners to an eternity of Matra Simca Bagheerad ownership in purgatory where they need to get to work but don't have a voltmeter because they didn't put the big engines with manual gearbox into the US spec wagons. Click here: 2000 BMW 528i wagon 5 speed! Mazdaspeed 6, the higher class upgrade to your Subaru. You miss the whole "RWD" part? Reed -- I've thought about those, (and the V8 Audi S4s from a similar era) but I'm ready to get back into a rear-drive daily for a while. If I were to get a late model Mazda, I might consider a Mazdaspeed3 -- those things are shockingly fast for a front drive econobox. I've read (but not experienced first hand) that the BMW all-wheel-drive system saps some of the magic of BMWs steering feedback from the car. It worked! I'm a programmer! Haul the whole family... with patina! I don't need to hear the school principal tell me "Sir, your kinds can't come to school covered in a mystery funk from your Mutt"
I'm sure this was the best car/deal/ of the month. WHy'd you delete the comment, chuck!! Jaguar (X350 generation '04-07) XJR or Super V8 (think full spec LWB Vanden Plas XJ8 but with 390hp Superchrged 4.2 from XKR/XJR and Brembo brakes from the XJR).